Experts have suggested Vietnam build a balanced energy structure by developing renewable energy, given the increased energy demand in the country. Statistics show Vietnam uses a great deal of energy, with the industrial sector consuming the most at 47.3 percent of the total. The southern region faces a severe shortage of electricity as it uses up to 85 billion kWh each year compared with its production capacity of only 70 billion kWh. Nguyen Phuoc Duc, Deputy General Director of the Southern Power Corporation, said the region is expected to lack about 1.2-1.6 billion kWh each year during 2021-2022, warning the figure may climb higher. Against this backdrop, experts suggested restructuring power resources in each region and setting up a transmission connectivity system. 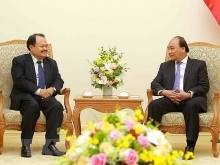 According to Nguyen Tan Loc, Vice President and Secretary General of the Vietnam Electrotechnical Industry Association, although Vietnam has developed standby power resources since 2004, the country still faces electricity pressure. Therefore, he said, renewable energy will help address many issues relating to electricity. Vietnam has set forth a national renewable energy development strategy, under which renewable energy is hoped to account for 32.3 percent of all energy in 2030 and 44 percent in 2050. However, natural resources are being exhausted and overexploitation has harmed the environment and human life. Like other developing countries, Vietnam is seeking renewable energy to replace fossil fuels. 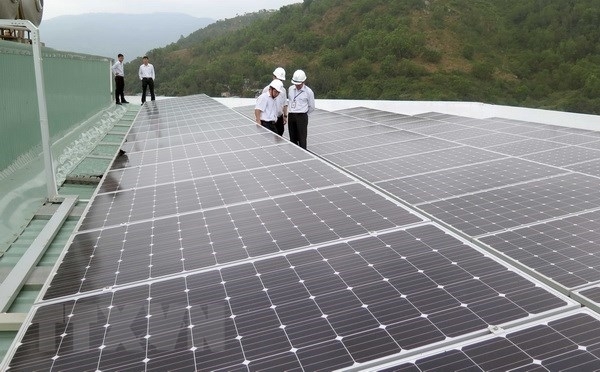 Experts said Vietnam boasts potential for solar energy development, with about 1,600-2,700 sunlight hours per year and the average solar radiation of 4-5 kWh/m2 per day. Under the national electricity development planning scheme, solar power is expected to become the main renewable energy source in the future, with installed capacity to be increased from 6-7 MW by the end of 2017 to 850 MW by 2020 (1.6% of the country’s power generation) and 12,000 MW by 2030 (3.3% of the country’s power generation). To that end, the Government has issued preferential policies to encourage investment in solar energy. Currently, many domestic and foreign businesses are building solar power projects and selecting suitable technologies to materialise these projects. The Ministry of Industry and Trade said 100 projects in solar power farms have been added to provincial or national planning schemes, with total registered capacity of 4.7 GW in 2020. 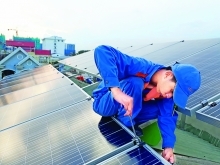 Nguyen Ngoc Quynh, from SolarBK Holdings, said connectivity between businesses will help bring solar power closer to production activities and daily life of residents as the source of energy is still a new field and related mechanisms and policies are being finalised. Other sources of energy such as wind, rain, tide and waves are also forming the new trend of development of the energy sector.